Shingo Usami is a Sydney based Japanese actor/voice artist. He has been working extensively in film, TV, theatre and other multi-media in Australia and Japan since 1997. His theatre credits include the Australian tour of Miss Saigon, Sadako and The Thousand Paper Cranes, Coup d’Etat, and Griffin Theatre Company’s The Floating World. His TV and film credits include Broken Sun, Curtin, The Pacific, Red Dog, The Wolverine – Samurai, Emperor, Backyard Ashes, Paper Planes, and Unbroken. In 2015, Shingo wrote, directed, co-produced and starred in a short film RICEBALLS which has been screened in many film festivals throughout the world including TIFF Kids International Film Festival in Toronto, Canada. Please scroll down for the trailer. RICEBALLS at the Oscar-qualifying Cleveland International Film Festival! What a trooper! RICEBALLS has been accepted for the Oscar-qualifying 43rd Cleveland International Film Festival. The screening will be on Friday 5th and Saturday 6th of April. For more information, please go to the following page! Shingo has been cast for a season-regular role in Season 2 of The Terror! 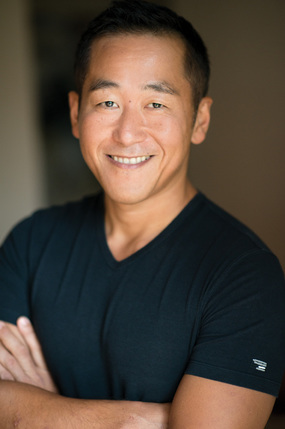 It's a tremendous pleasure to share the news that Shingo will play a major role in the highly anticipated second season of The Terror for AMC. This series depicts a series of mysterious incidents that haunts a Japanese-American community during World War II and the journey of a young 'Nisei' (second generation) man. Shingo will play Henry Nakayama, father of the main character, Chester. The production will commence in Vancouver, Canada in January 2019. Shingo is excited to work with talented cast and crew including the legendary George Takei. Please take a look at the article below. RICEBALLS has been selected for HollyShorts Film Festival to be held at the legendary Chinese 6 Theatres in Hollywood. The screening will be at 5pm on Saturday 18th of August. Shingo will be there to present the film and he's looking forward to making as many new friends as possible out there! "Perisher" will have the Australian premiere at Melbourne International Film Festival! A short film "Perisher" directed by Gabriel Hutchings and starred by Shingo Usami will have its Australian premiere at the prestigious Melbourne International Film Festival. It'll be screened as a part of Accelerator 2 program! Shingo will present the film with Gabriel at the screening at 4pm on Sunday 12th of August. Here's the link to the tickets! Also, here's the link to the traior of "Perisher"! It's a pleasure to announce that RICEBALLS has been accepted for Mt. Fuji - Atami Film & VR Festival to be held from 28 June to 1 July. Shingo will be at the festival to present the film. Looking forward to meeting a lot of people out there! A short film "Perisher" directed by a young and talented filmmaker, Gabriel Hutchings, will be screened at Palm Springs International Film Festival. The screening will be at 2pm on 21 June. Check out the website below for the information! It's been such a wonderful experience to work with this wonderful theatre company. Shingo plays the role of Friar Thomas in William Shakespeare's "Measure for Measure" and Il Capitano in a classic Italian comedy "The Servant of Two Masters" by Carlo Gordoni. We've finished our season in Bella Vista in December and now moved to Leura in Blue Mountains. The season finishes on 28 January so please come and enjoy our fantastic shows! RICEBALLS has still been going strong! It has been awarded "Best of the Fest" award at the San Jose International Short Film Festival in December 2017! RICEBALLS has also been seleceted for other film festivals such as Children's Film Festival Seattle, MICE Film Festival in Valencia, Spain, and Providence Children's Film Festival. I really appreciate your ongoing support! RICEBALLS received Best International Short Film Award at Sharjah International Children's Film Festival! It is my honor to share the news that RICEBALLS has won the Best International Short Film Award at Sharjah International Children's Film Festival in the United Arab Emirates. It was a wonderful and educational week to be invited to Sharjah along with many filmmakers from all over the world. Thank you very much for your ongoing support and encouragement! More screening and awards for RICEBALLS! RICEBALLS has been screened at many film festivals since the last update (Sorry for being slack!) The festivals include Wisconsin Film Festival (USA), Reel Shorts Film Festival (Alberta, Canada)Big Eyes, Big Minds – Singapore International Children’s Film Festival (Singapore), Vero Beach Wine & Film Festival (Florida, USA), Festival Internacional de Cine para Niños (Mexico), Adelaide International Youth Film Festival (Australia), Byron Bay International Film Festival (Australia) and Sharjah International Children’s Film Festival (UAE). Also, it received "Audience Award for Shorts" at Vero Beach Wine & Film Festival and "Best Film 5-13yo Tier" at Adelaide International Children's Film Festival. More festivals coming up, so stay tuned! 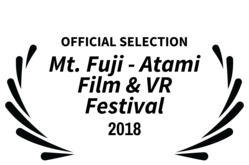 RICEBALLS received Best Dramatic Short Award at Sonoma International Film Festival! I'm delighted to announce that my film RICEBALLS has won another award! It received Jury Award - Best Dramatic Short Award at Sonoma International Film Festival. It was an amazing and super friendly film festival and I had a wonderful time. I am extremely grateful for their hospitality and generosity. It was an honor to receive this award from such a lovely festival! RICEBALLS won "Grown-Ups Award" at New York International Children's Film Festival!! I feel so humbled to announce that RICEBALLS has been awarded "Grown-Ups Award" (chosen by the adult audience members) at prestigious New York International Children's Film Festival. Thank you very much for your ongoing support! RICEBALLS has been officially selected for Sonoma International Film Festival! I'm really excited to announce that RICEBALLS has been officially selected for Sonoma International Film Festival to be held from 29 March to 2 April. I'm really looking forward to sharing this film, and a great time (!) with everyone at the festival. RICEBALLS has been officially selected for New York International Children's Film Festival and San Luis Obispo International Film Festival! It's a pleasure to share this film with the audience in New York again! New York International Children's Film Festival will be held from 24 Feb to 19 March. Please go to http://nyicff.org. Also, for those in California, please visit beautiful San Luis Obispo for this gorgeous festival out there. The festival will be held from 14 to 19 March. RICEBALLS won Best Short Film Award at Ajyal Youth Film Festival in Doha, Qatar! Riceballs has won Mohaq Best Short Film Award at Ajyal Youth Film Festival in Doha, Qatar last December. It was an amazing experience to witness this family film being appreciated by the young audience in Middle East. Thank you very much for your encouragement. RICEBALLS won awards at Chicago International Children's Film Festival and Dungog Festival! RICEBALLS has been awarded the 2nd Prize, Live-action Short Film, Children's Jury at Chicago International Children's Film Festival. Also, we received Runner up for Best Australian Fiction at Dungog Festival in NSW. I'm so grateful! RICEBALLS will go to Chicago International Children's Film Festival! RICEBALLS is coming to Hollywood! RICEBALLS officially selected for Heartland Film Festival! I'm pleased to announce that RICEBALLS has been officially selected for Heartland Film Festival to be held between 20 and 30 October in Indianapolis! Please go to their website www.heartlandfilm.org. RICEBALLS received the Best Screenplay Award! Shingo received the Best National Screenplay Award for RICEBALLS at Canberra Short Film Festival! RICEBALLS to be screened in Washington DC! ​Great News! RICEBALLS has been invited to Asian American international film festival in new york! The screening will be held at Village East Cinema from 4:30pm on Saturday 23 July! Please visit their official webpage. Here's the trailer for ​my short film RICEBALLS ! This short film, which is written and directed by Shingo Usami, has been chosen as one of eight short film projects funded by Breaks Funding program of Metro Screen and Screen NSW. The film depicts the story of a Japanese man, Kenji, living in Sydney. Kenji takes care of his son after his wife’s death. The son, Josh, misses the sandwiches that his Australian mother used to make for him. However Kenji stubbornly keeps making Japanese riceballs, wishing to retain his son’s connection with his cultural heritage. RICEBALLS has been completed last October and received great responses at the private screenings. Currently it has been submitted to a number of film festivals throughout the world. Please stay tuned for wonderful news that's about to be released soon! Please take a look at our Facebook page for more details. Thank you for your support!